Welcome to Wilcox County on Southern-Style. The listing of Furman, Alabama, as a National Historic District recognizes an area steeped with history. Much of it mine. You are cordially invited to experience this history with the Driving Tour included below. Our family has deep roots in Wilcox County, and it is my pleasure to introduce you to this gracious heritage. Palmer Cemetery started in the garden of my 3rd great grandparents, Stephen and Juliet Hartwell Palmer, when their son Oliver died at the age of 10. The Palmer-Britt Home was built by Stephen and Juliet Palmer. Trails End was the home of my Great grandparents Elkanah and Elafare Barge Burson, built on Barge Mill Road where they raised my granfather, Elkanah George Burson and his sisters Mary Elizabeth and Ella Clare. Barge Mill was run by Elafare Barge's father. Elkanah Burson's father, Joseph Jackson Burson, helped build the Furman Methodist Church and the Burson family maintained the records until Eliece's death. The Moore-Burson Rushing house is the home in which my father and his sisters, Eliece and Elizabeth grew up. My grandparents, Dr. and Mrs. E. G. Burson bought Wakefield in 1943 and both of those homes are now owned by my sister and her husband, Tom and Dr. Sylvia Burson Rushing. Oak Hill is the site of my husband's Great parents, A.C. and Elizabeth Amanda Wardlaw Bonham Ramsey's home most recently owned by the Bonners. In Pine Apple, the Hawthorne House was built by my husband, Joel Wardlaw Ramsey's Great great grandfather, Joshua Richard Hawthorne and his wife Patience Elizabeth King Hawthorne. Dr. David Wardlaw Ramsey converted from Methodism and left the practice of medicine to become a preacher at the Friendship Baptist Church. I do have the Palmer Cemetery records on this website, as well as those for Mount Moriah. Mount Moriah is on the line between Butler and Wilcox counties. Many relatives are buried there as well, Wardlaw, Watson, McWhorter. 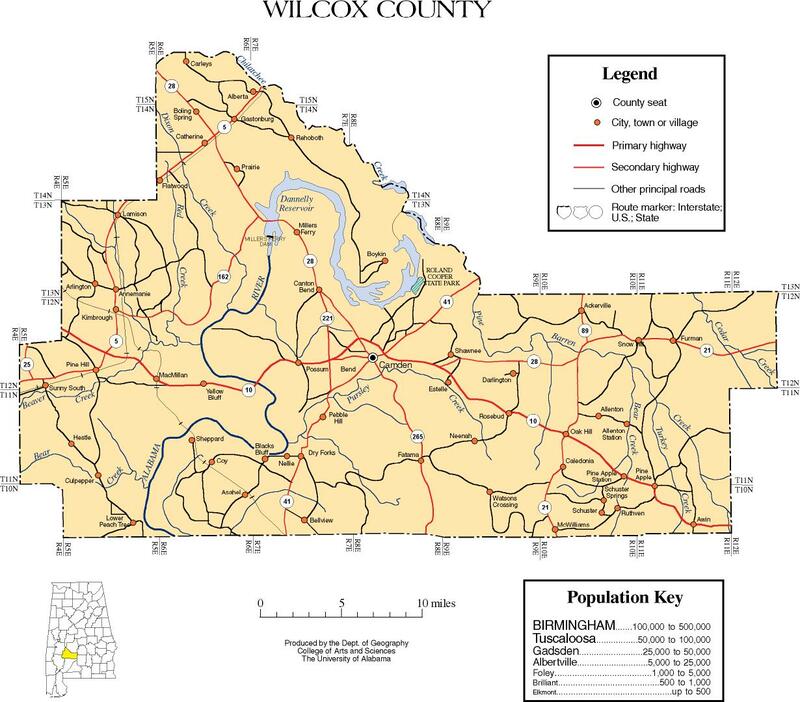 The genealogies of these Wilcox County Lines are included on this website because they are those of this webmaster. Cemetery, and Purifoy Cemetery are included on this tour. of these original settlers still own homes and property in Furman. site, and his was the first burial in the cemetery since 1923.